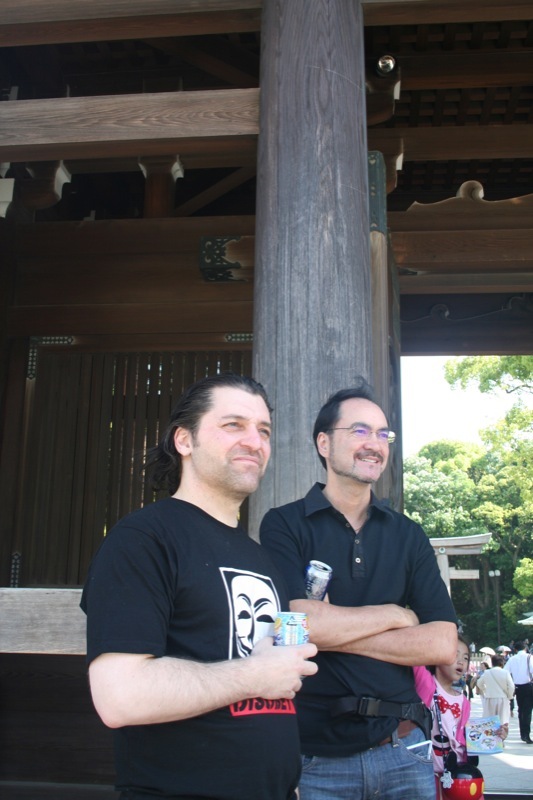 Marc and Ron stand by the gate looking cool and drinking Chu-hi’s. I grew up with Ron too. Although we didn’t meet until High School. Ron is half Japanese and quite possibly the coolest human being on the plant. His knowledge of Japan and the culture was monumental. The greatest of ambassadors. It is not illegal in Japan to drink in public. So we were often stopping off at Lawsons to pick up a fresh beverage. It felt a little like New Orleans in that respect.